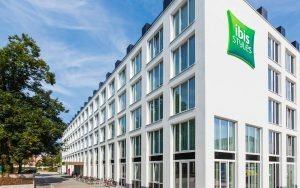 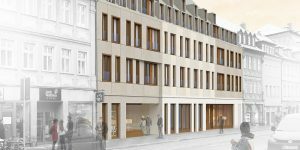 The ibis Styles Hotel Trier with its 100 rooms was built into the historic “Posthof”, Trier’s former post office. 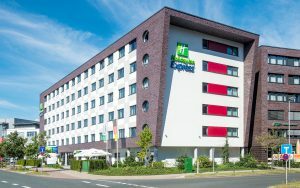 All major sights of this ancient roman city, with the world-famous Porta Nigra being just one of many, are within comfortable walking distance. 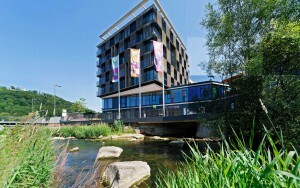 As are the picturesque Mosel river on the one side and Trier’s train station on the other. 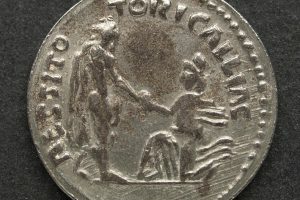 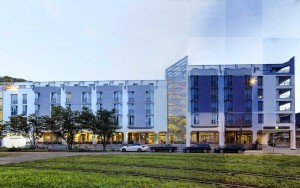 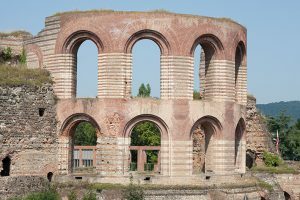 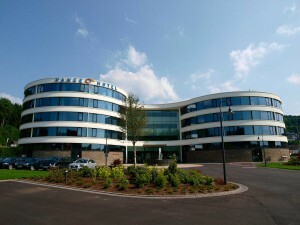 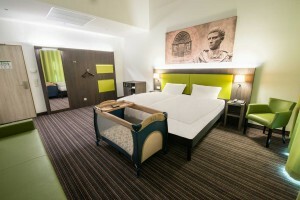 The hotel’s unique design combines both roman influences and the building’s rich history in a way that has jokingly been dubbed “post-roman”. 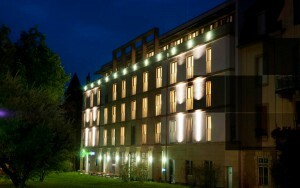 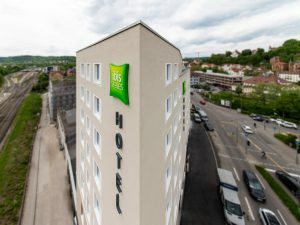 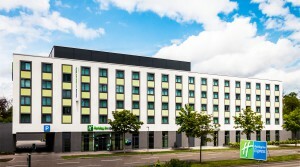 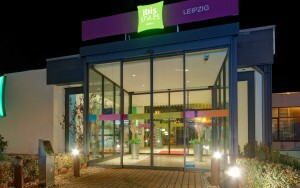 One thing that sets the ibis Styles Hotel Trier apart from other economy hotels are the rooms. 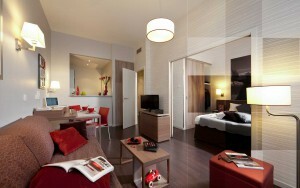 Some have ceilings that are 4.50m or almost 15 feet high. 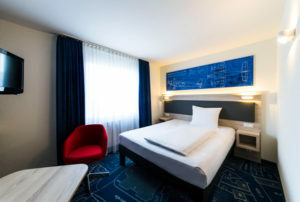 All ibis Styles hotels offer a number of complimentary services with the daily extended continental breakfast buffet and Wi-Fi being just two examples. 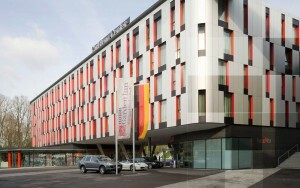 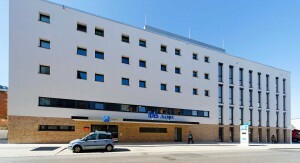 In addition, the ibis Styles Hotel Trier also offers free use of the hotel’s gym.